Ciao, amici! 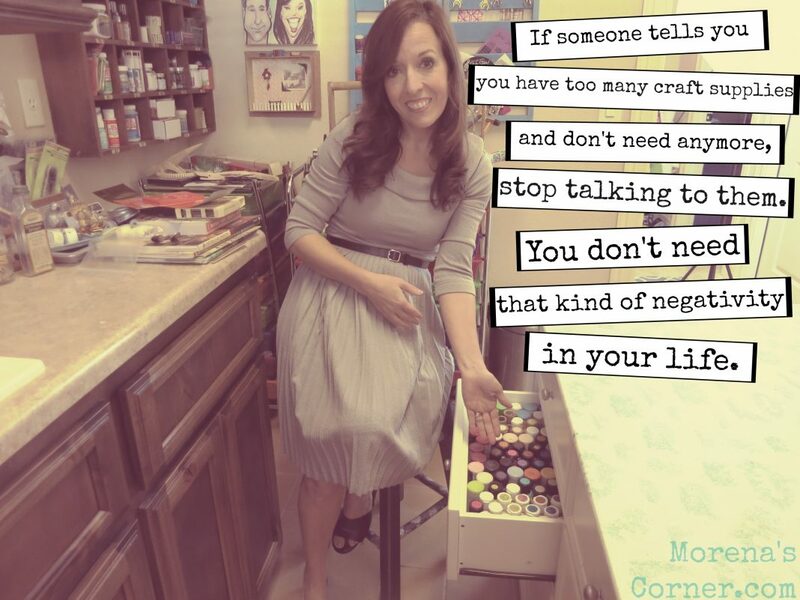 My blogging friend Angie, over at the Country Chic Cottage, is hosting a fun craft room tour. I thought it would be a good idea to join in the fun so that I would be forced to clean up my craft room a little bit. Please tell me I’m not the only one who waits till company is coming over to clean like a mad woman? My craft room is actually the laundry room of my house. But who needs that much space to do laundry, right? I repurposed the circus tent hanging from my son’s nursery to hide the washer and dryer from view (because if you can’t see it then it isn’t there) and took over the ample cabinet space that had been built in. I’m so lucky to have my own corner of the house just for my crafting. 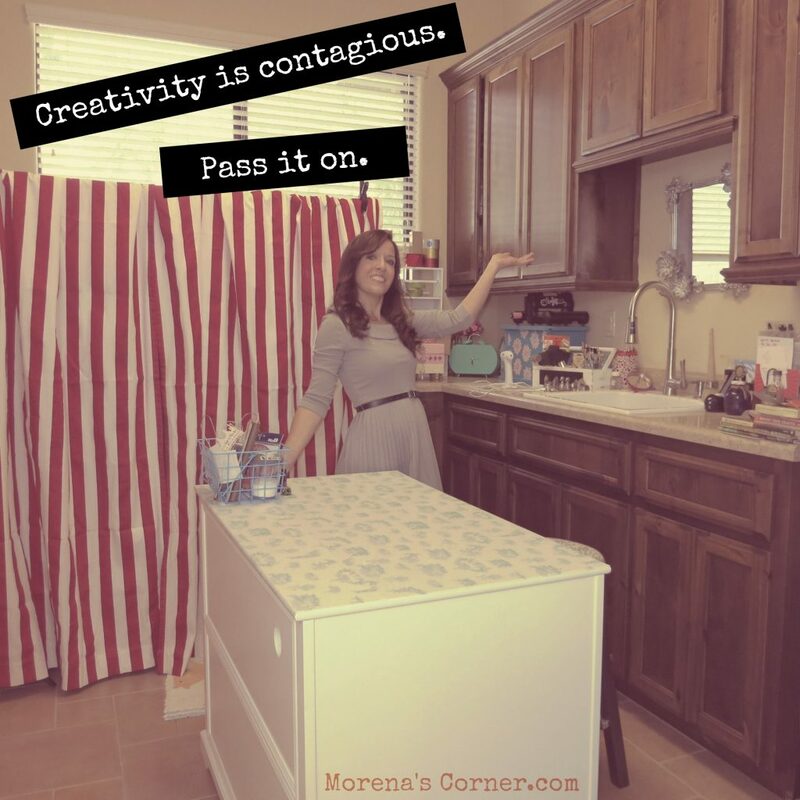 As I mentioned in this post, I started out in a corner of the office, then graduated to a corner of my closet…hence Morena’s Corner. I used to joke that I was sitting in time out in my craft corner. Now I have a whole room…yes, shared with a washer and dryer…but, whatever, it’s MY CRAFT ROOM! Woo hoo! No more little fingers getting into my craft stash and damaging my ink pads. I made a very short video to give you a peek at all my crafting stuff. I have a lot of adhesives. A LOT. 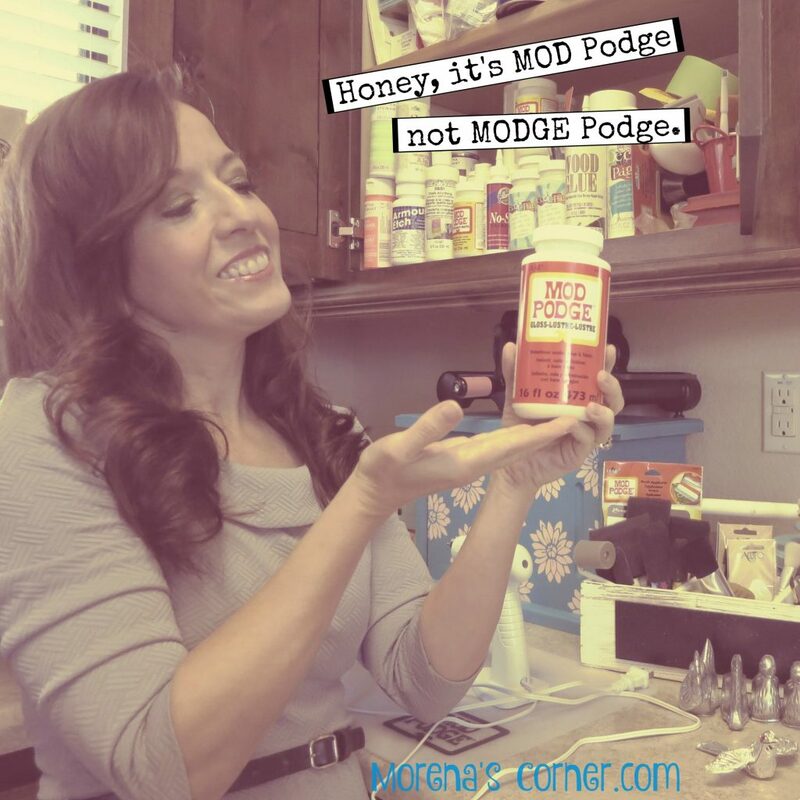 I’ve won two Mod Podge contests and one DecoArt contest in the past few years, and all the grand prizes included a life time supply of glue. OK, not a life time supply, but the complete line of their products. Hence the cabinet full of adhesive products, which I LOVE. It’s like having my own craft store at home! Since I love to repurpose items and work with wood and paper mache items, I have a lot of paint. You never know what color you’re going to need for the next project! I have my paints organized by brand and color, as well as a separate section for my painting mediums (glazes, gessos, etc.) You can see more of that in my short video tour here. I promise, it’s short…less than three minutes…because brevity is kind of my thing. I hope you had fun visiting my crafting corner! Thanks so much for hanging out with me. If you’d like to see much larger and better organized craft rooms (you do!) 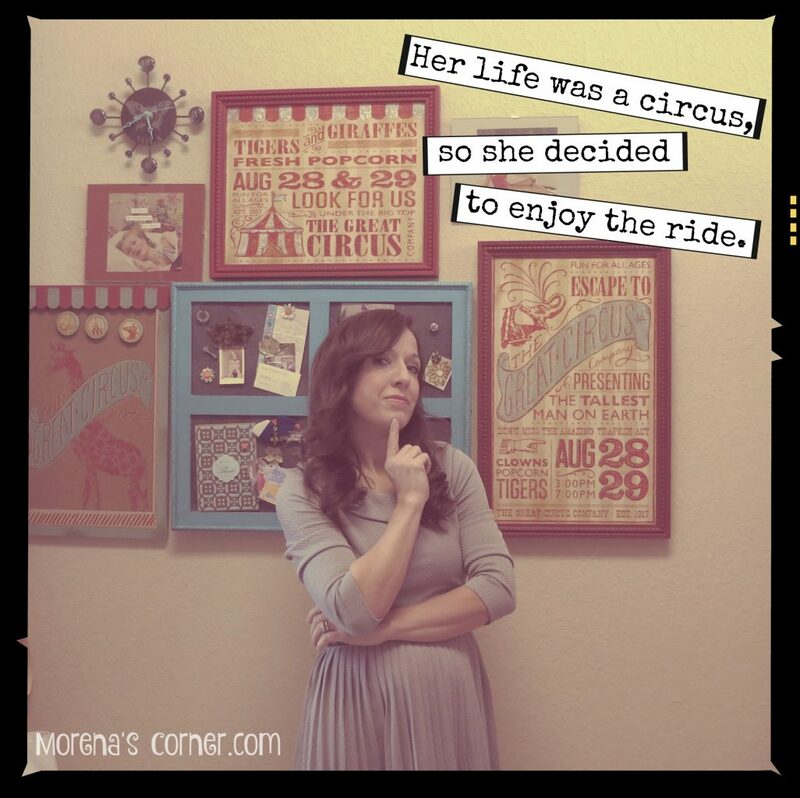 start with Angie’s gorgeous craft room, then follow the links at the bottom of her post HERE. Have fun crafting and creating! You are awesome! Great space! !